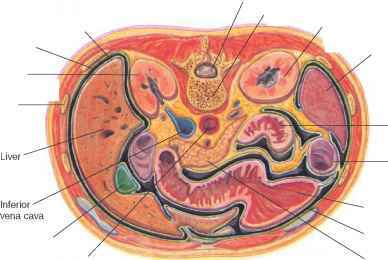 This transverse section of the abdomen reveals the liver and other organs within the upper portion of the abdominal cavity. Lobes of the liver, viewed (a) anteriorly and (b) inferiorly. 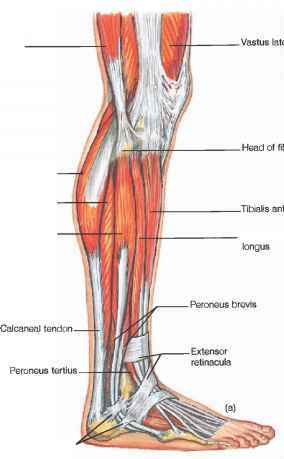 Caudate lobe normal concentration of blood glucose. Liver cells that respond to hormones such as insulin and glucagon lower the blood glucose level by polymerizing glucose to glycogen and raise the blood glucose level by breaking down glycogen to glucose or by converting noncarbohydrates into glucose. The liver's effects on lipid metabolism include oxidizing fatty acids at an especially high rate (see chapter 18, p. 741); synthesizing lipoproteins, phospholipids, and cholesterol; and converting portions of carbohydrate and protein molecules into fat molecules. The blood transports fats synthesized in the liver to adipose tissue for storage. The most vital liver functions are probably those related to protein metabolism. They include deaminating amino acids; forming urea (see chapter 18, p. 743); synthesizing plasma proteins, such as clotting factors (see chapter 14, p. 567); and converting certain amino acids to other amino acids. 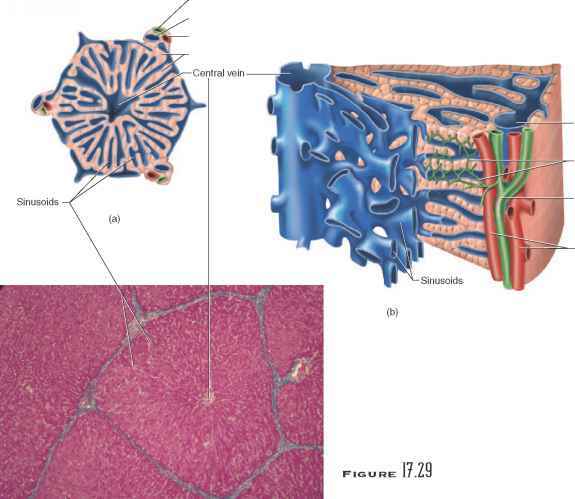 (a) Cross section of a hepatic lobule. (b) Enlarged longitudinal section of a hepatic lobule. (c) Light micrograph of hepatic lobules (cross section) (160x). Bacteria in the intestine produce ammonia, which is carried in the blood to the liver, where it is converted to urea. When this liver function fails, concentration of blood ammonia sharply rises, causing hepatic coma, a condition that can lead to death. 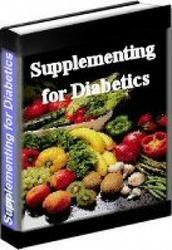 The liver also stores many substances, including glycogen, iron, and vitamins A, D, and B12. Extra iron from the blood combines with a protein (apoferritin) in liver cells, forming ferritin. The iron is stored in this form until blood iron concentration falls, when some of the iron is released. Thus, the liver is important in iron homeostasis. Liver cells help destroy damaged red blood cells and phagocytize foreign antigens. The liver removes toxic substances such as alcohol from the blood (detoxification). The liver can also serve as a blood reservoir, stor ing 200 to 400 milliliters of blood. The liver's role in digestion is to secrete bile. Table 17.7 summarizes the major functions of the liver. Clinical Application 17.3 discusses hepatitis, an inflammation of the liver. 99 Describe the location of the liver. ^9 Describe a hepatic lobule. □ Which liver function participates in digestion?